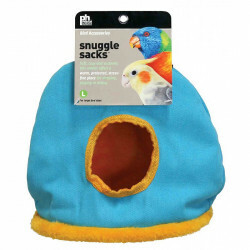 Providing your pet bird with a pre-woven nest encourages courtship, breeding and nesting behaviors of small birds. 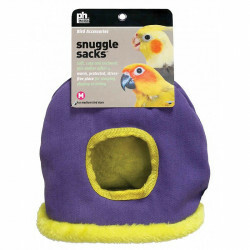 Finches and canaries both love to nest, even in captivity, and introducing one into the cage will trigger natural instincts that lead to beneficial behaviors. 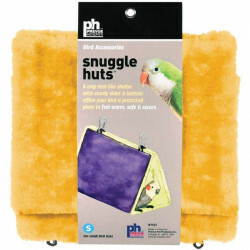 Birds have an instinctive need to find a secure, natural enclosure to call their own. 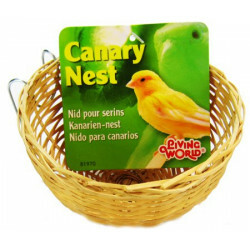 If left in captivity without the capacity for finding such a nest, nesting birds like finches and canaries can become stressed and unhealthy. 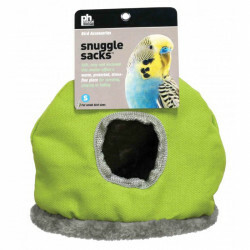 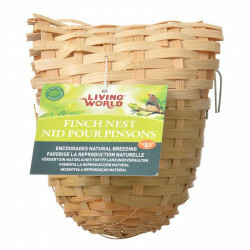 Pet Mountain's Bird Nest store offers bird owners easy-to-hang, pre-made nests from trusted manufacturers including Super Pet and Hagen Living World. 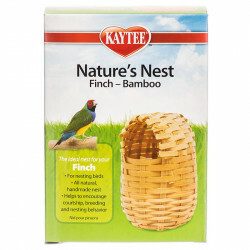 Finch nests mimic the "under-eaves" construction of nests finches make in the wild, with fully enclosed baskets of wicker or bamboo providing a cave-like home for your bird. 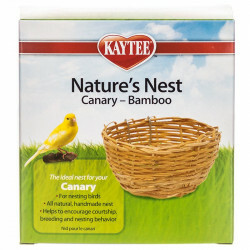 Canaries favor more traditional open nests, needing only open baskets of wicker or bamboo to feel right at home.